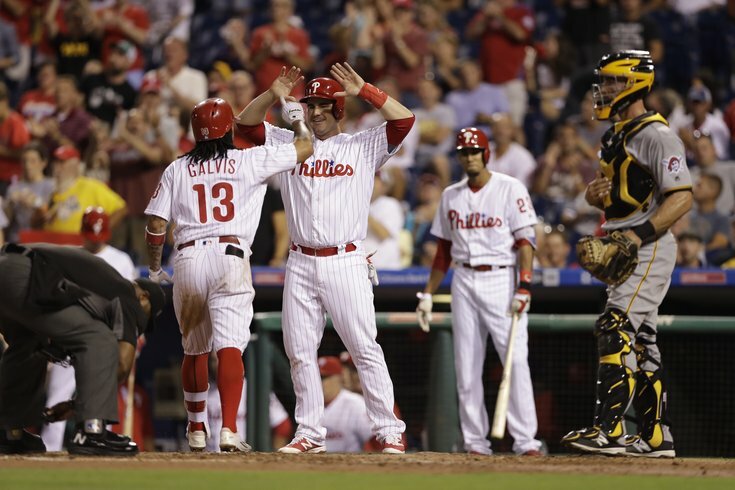 Do you think Freddy Galvis should be part of the Phillies' plan going forward? On Sunday, the Philadelphia Phillies 2016 season officially came to an end, and for the first time in the last three seasons, the team did not finish with the worst record in baseball (71-91). It also signaled the end of a long and storied career in red and white pinstripes for first baseman Ryan Howard, the last remaining piece from the 2008 World Series team. And while the Phillies rebuild is already in full swing, and has been for the better part of two years, that hardly means that the rest of the roster is full of players that will contribute to the club in the long term. In fact, it would appear that the way they've structured contracts, especially since the arrival of Andy MacPhail last summer and GM Matt Klentak in the offseason, was done in such a way that organization is essentially heading into the winter with a clean slate. Currently, there are two players with options for next season (Howard's $23M team option and pitcher Charlie Morton's $9.5M mutual option) and only one (Howard) will cost a significant amount of money to buy out. Matt Harrison, who didn't play at all for the Phillies this year, is on the books for $13.2 million next season and has an option in 2018. If you combine Harrison's contract with the buyouts for Howard ($10M) and Morton ($1M), the Phillies have slightly over $23M on the books for next season. Some of those guys are going to stick around as part of the team's core moving forward. Others will be sent packing. While manager Pete Mackanin meets with the front office to discuss their options moving forward, we figured it's as good a time as any to let the fans have their say on which Phillies players should be back next season, and which they'd like to see playing in a different uniform. *Led team with 37 saves in 43 opportunities.